A Virtual Baby Shower + A Giveaway! Today is an especially fun day! I have joined up with 16 other bloggers to throw a virtual baby shower for our friend and fellow blogger, Michelle of Healthy Recipe Ecstasy. Michelle’s recipes appear regularly on Tuesday Tidbits and not only am I a big fan of her cooking, she’s simply fun and fabulous! Meet Michelle, Alexander and hubby, Alasdair. Aren’t they a gorgeous family! I need to get my arms around that little bundle – he’s just so adorable. Congratulations to you all and especially to Baby Alex – you hit the Jackpot, Sweetie! Won’t be long now until you’ll have him sat watching videos and singing baby songs together. To celebrate this happy occasion we’ve got some treats for you! Not only are there 17 beautiful dishes, we’ve got a KITCHEN AID GIVEAWAY as well. I know – it’s all so fabulous, right? It’s a Boy! And a Giveaway! WOW! What a lovely idea and sweet baby! His little photos of him in his tie….it makes me want to cry! 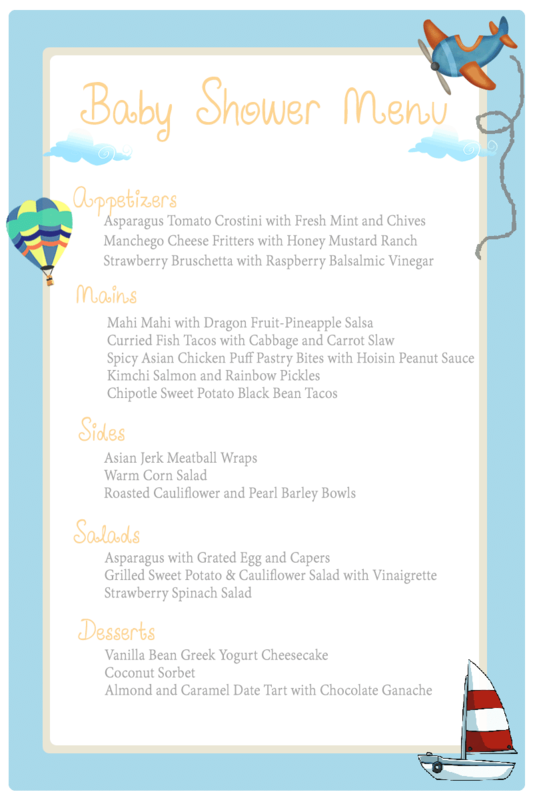 I just adore little baby boys (knowing they grow up to be men just gets me straight in the heart) – great menu and what a giveaway! I have one of these (or almost the same model), so I will not join in on the giveaway, but I’m sure you will get many interested party-animals! What a cool idea. The menu sounds amazing and the photos are proof, they look delicious. Congrats to the happy couple. Their little boy is adorable, especially all dressed up, tie and all. Thanks so much for doing this Robyn! You know I love a crostini. Its one of my fave types of appetizers!! It was a lot of fun, Michelle, and we’re thrilled that you enjoyed it! Your little Alex is such a snuggly sweetie! Robyn recently posted…A Virtual Baby Shower + A Giveaway! What a fantastic idea! And delicious recipes. Beautiful couple and darling new baby! I have a Viking blender so I won’t be signing up for the giveaway. Congratulations to the happy family! Alex is quite the handsome little guy. 🙂 I loved all the captions under each photo, too cute. Now… I believe I shall take one of everything on that grand menu that you have shared with us. WOW! WOW! WOW! I wouldn’t even know where to begin. Lovely Robyn. Yes we are home from our wonderful, did I say wonderful trip! We had a fabulous time but it ended way to soon, as all mini vacations do. I posted a few pictures, didn’t want to go over board and bore everyone. Oh the beauty of God and His creation surrounded us every where we went. Isn’t he adorable, Debbie! Michelle’s blogger friends went all out with special recipes and I can’t wait to make some of them. So glad to hear you had a great trip and now I’m off to check out your pics! Thanks for visiting, Daffy friend. Lots of love to you! Thank you so much for organizing this, Robyn! You did a fabulous job of making it fun for us!